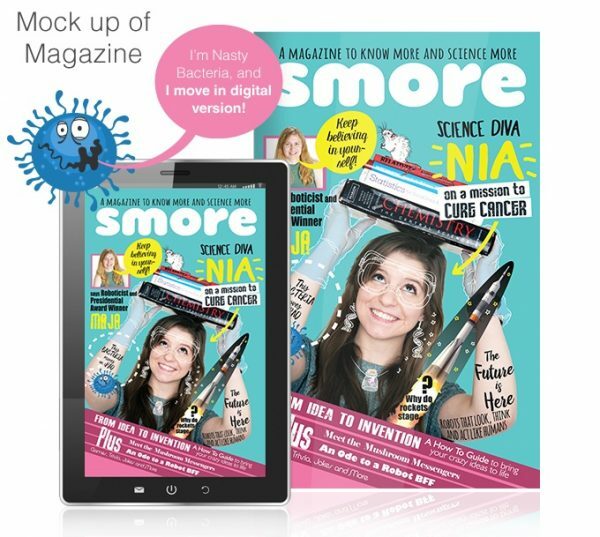 A Kickstarter Campaign for an unconventional science magazine has been launched by Sarita Menon called Smore. The hope is that this magazine will encourage tween girls to unapologetically embrace their intelligence and Smore will be publishing articles that give them something more thought-provoking than celebrity gossip and hair styles to read about. There are too many tween girls out there who have brilliant minds but aren’t fulfilling their potential which is heart-breaking and the number of women entering careers in the STEM fields is still too low. There is nothing at all wrong with reading beauty magazines or following the latest fashion trends if that is what a girl chooses to do but there should be options out there for empowering girls, giving them something with more substance that will encourage them to develop whatever natural ability they have in their chosen field. This is especially true for the Millennial generation who need a range of role models, not just the singers, actresses and reality TV stars who saturate the media. 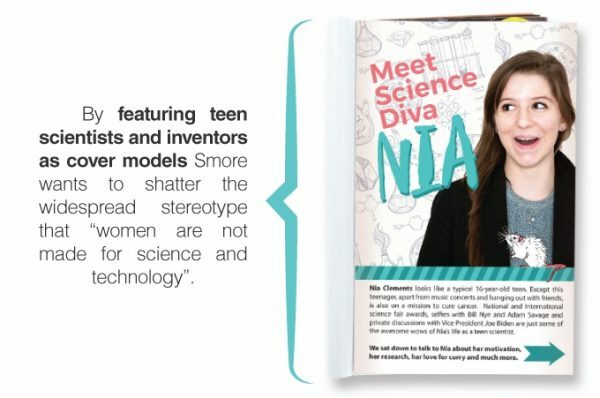 Smores plan to put female scientists on the cover of this magazine which puts clever, powerful women into the spotlight, celebrating their achievements and turning those scientists into the next generation of celebrities. Smore will be a comic-style magazine published both in print and digitally and there will be six issues published a year. It has been created for girls aged 7-12 years but obviously that is just a guideline and could be enjoyed by boys too or other age groups.